Shell V-Power Racing has been the Supercars pace-setter since Albert Park in March, but it raised the game to a whole new level at Barbagallo. 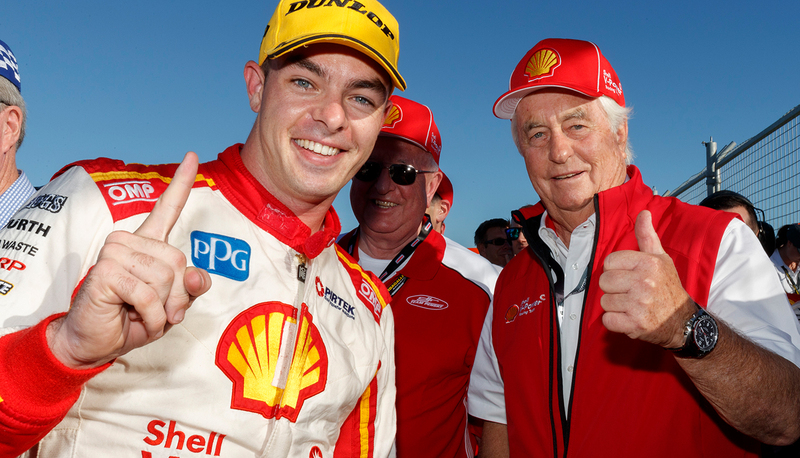 Executing a weekend cleanly without penalties or strategic miscues ensured Scott McLaughlin could deliver exactly what his move to the team had promised. With Roger Penske’s presence adding to the on-track show of force, there was a distinct feeling that the Shell team has moved from challenger to category benchmark. In its defence, Triple Eight sits just a fraction off the top in the drivers’ and teams’ points standings and has managed some remarkable mid-season momentum swings before. But for the Shell Fords to have improved as dramatically as they have since Ludo Lacroix’s arrival in January, it’s going to take something very special to stop them this season. Perhaps the best thing about the war between the Shell, Red Bull and Prodrive teams this year is that each has multiple championship contenders in its ranks. Even if one of the three teams surges ahead of its rivals, the title fight looks like being well and truly on until the final round. The gap between the top five drivers shrunk from 97 points to just 31 over the weekend thanks to McLaughlin’s surge and team-mate Fabian Coulthard’s slightly underwhelming Sunday. Sixth placed Mark Winterbottom however has shown in the last two events that he’s not to be discounted either. 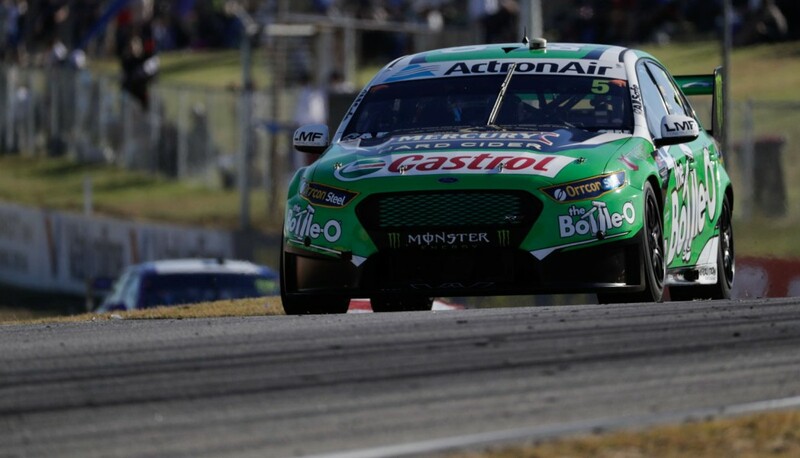 The Bottle-O Ford driver has strung together three top five finishes and, despite looking lacklustre in Adelaide and Symmons Plains, is just over a single race win away from the top. It happens every year. The season starts with an array of new driver/team/engineer combinations, new cars, new liveries and everyone with a reason to be optimistic. But once a handful of events have unfolded there are more losers than winners and the pressure, the frustration and demand for answers among the underperformers builds. Mobil 1 HSV Racing is currently at the top of that list, but they’re certainly not alone as others also feel the pressure of chasing an ever-rising benchmark. 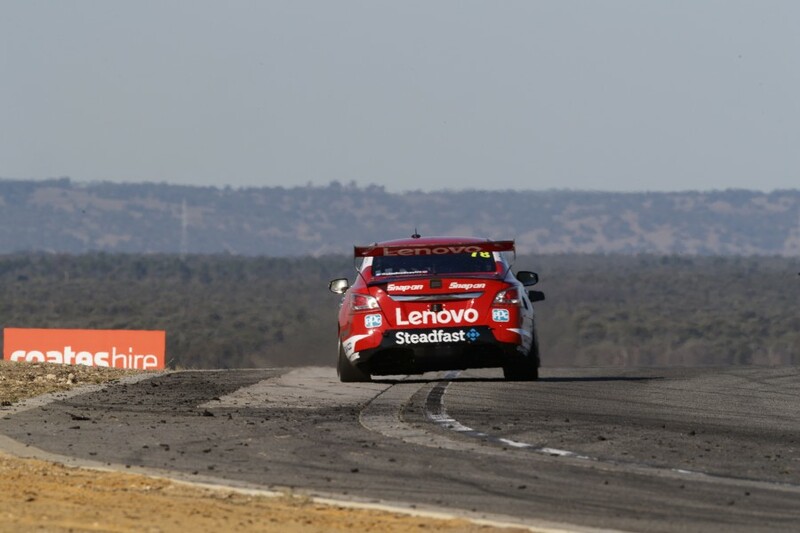 Nissan’s pre-season promise has well and truly stalled, while Brad Jones Racing has also found little to smile about as it fights to remain a top 10 contender. Both teams at least have home ground at Winton to look forward to, where they have shone before and should figure strongly again in less than a fortnight. James Courtney’s honest assessment of Mobil 1 HSV Racing’s performance at Barbagallo was as refreshing as it was brutal. By its own admission, the team needs to be better than what it showed in Perth, where Courtney was left embarrassed at being barely able to drag his car into the top 20. While that much is clear, publicly suggesting that the ex-Garth Tander chassis may have a fundamental issue after all was certainly a bold move from the 2010 champion. That debate created significant friction between Tander and the team last year and owner Ryan Walkinshaw was clearly unamused by Courtney’s latest statements. 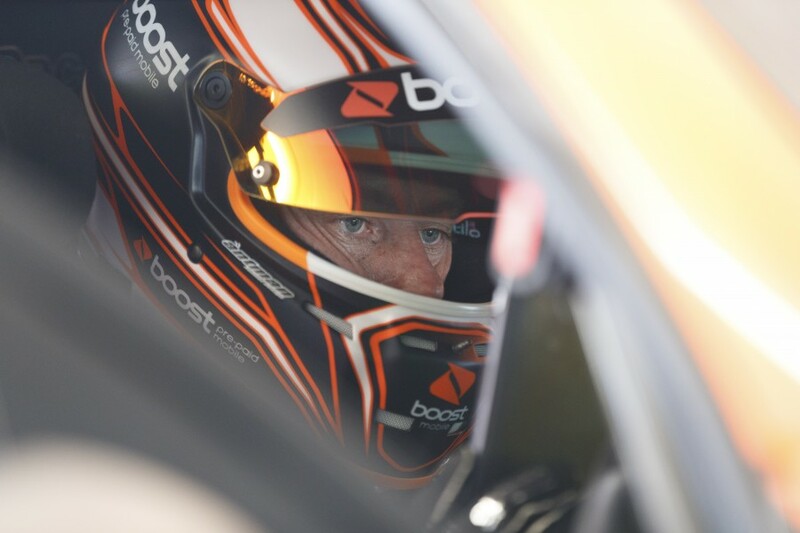 Rubbing salt into the wounds at Walkinshaw is the ongoing success of Tander since moving to GRM, which has both of its Walkinshaw-powered Holdens in the championship’s top 10. 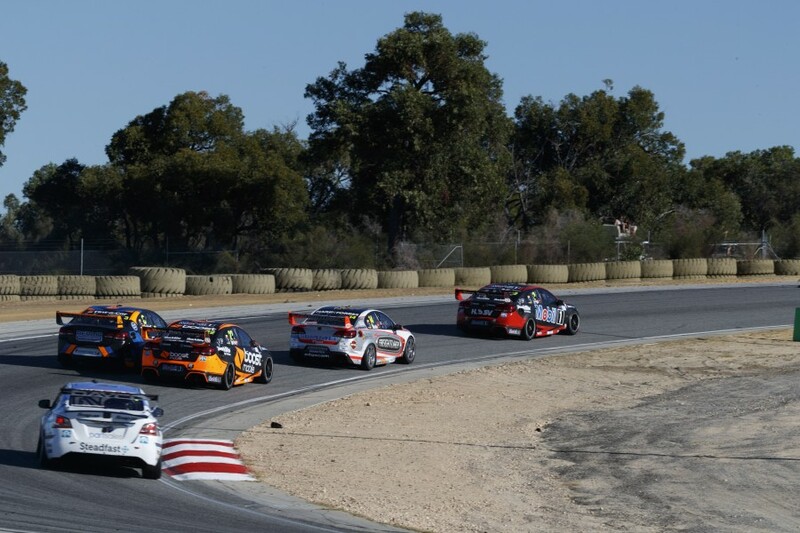 In a year that has already delivered its share of ugly moments, the issue of drivers having their hot laps – and very nearly their cars – destroyed by those preparing for a flyer raised its head in spectacular fashion at Barbagallo. While there were some calls for the recommended ‘go point’ at the crest of the hill on the back straight to be made compulsory, most were in agreeance that teams and drivers simply had to be more aware of their surroundings on Sunday. After the pitlane issue at Phillip Island, the last thing that was needed was a rule that would be very difficult to police and, in part, would simply shift the problem of drivers slowing to create space further back around the circuit. Thankfully with the year’s two shortest tracks now behind us, the qualifying space issue is one that’s highly likely to fade into the background as quickly as it appeared.